International Master in Marketing student Erik Nilsen (United States) will be graduating later this month. But before he does, he shares his reasons for choosing EADA, his experience with the international EADA community, and his growth in the EADA-Residential Training Centre. Why did you decide to do a master’s degree? For me, it seems that in today’s competitive business environment, it was a necessity to get a postgraduate degree. I decided to do my master’s in marketing because, in my opinion, it is more valuable to be specialised in a specific and vital aspect of business, rather than getting an advanced degree covering a broad curriculum. Why did you choose EADA? When searching for my ideal master’s programme, I placed a great deal of importance on finding a truly international programme that will give me an advantage when looking for employment in the international arena. EADA impressed me, boasting more than 50 nationalities consolidated into a tight-knit academic community that prioritised the quality of instruction over accepting more paying students. My experience at EADA has been life-changing. I have learned about other cultures and gained new perspectives on things I never would have thought twice about before. Not only did I learn a lot about the world and the different people in it, but I learned a great deal about myself and what I want to accomplish in life. EADA has made me feel truly prepared to enter the professional world with confidence. How did the mix of hard skills and soft skills in EADA’s International Master in Marketing help you to grow? Completing the International Master in Marketing at EADA is the most important thing I could have done for my professional development. I have learned about aspects of business that my undergraduate programme barely scratched the surface of, and have a newfound confidence in my ability to effectively analyse business situations and make the best decision. The hard skills I learned through case studies taught me to look at a business situation and analyse the big picture, working towards a solution with a diverse team under strict deadlines. I now have the necessary theoretical frameworks, and experience applying them effectively in a team-oriented environment. These hard skills complemented the soft skills I learned during the modules in the Residential Training Campus. These modules gave me the opportunity to discover my true strengths and how to use them to my advantage in the real world. I also discovered my weaknesses and how I can consistently improve them, as well as how I can utilise my team members’ skills and strengths to counteract my shortcomings. I now know that one style of management may motivate one person and slow another down, and that different people and situations require different styles of communication. Most importantly, I have been given the tools and guidance to become a leader in the business world and the confidence to pursue what is most important to me. What would you highlight about the EADA experience? Firstly, the strategic formation of diverse groups is the basis of the EADA experience. Every programme, class, and team is carefully selected to ensure a balanced mix of students from dozens of nationalities and cultural backgrounds. This allows us to do more than just learn from lectures and readings; we get to share our perspectives and hear those of classmates who see things in an entirely different way or who have experience in a specific industry or activity. In addition to what we learn from each other, we are given the opportunity to build an extensive global network of like-minded young professionals that will undoubtedly be an enormous resource as we progress through our careers. Secondly, the modules in the Residential Training Campus are key for participants’ personal and professional development. Before starting the programme, I never knew how to answer the typical interview question: What are your strengths and weaknesses? This was because I had never taken the time to analyse myself and make honest and critical observations. I did this analysis in the first module, and it has been one of the most important events in my growth as a person. In the Residential Training Centre, I learned what I was best at, and developed the skills to communicate effectively, negotiate like a titan and lead a team effectively. If it weren’t for these skills, I wouldn’t have the confidence that I do now to go out into the global business arena and stake my claim. Thirdly, the location of EADA in the city centre of Barcelona couldn’t be better. Barcelona is an ideal city for international students to discover themselves and meet people from all over the world. There is a huge community of international students spread across several business schools and universities, allowing you to grow your network even further. The city has a bustling tech community and has even been called the Silicon Valley of Europe. For those with an entrepreneurial mindset, Barcelona is a spawning ground for new start-ups and the local government is very supportive of small businesses. Furthermore, Barcelona is home to world famous architecture, nightlife, museums, and entertainment. Erik Nilsen holds a Bachelor’s degree in Business Administration with a specialisation in International Business) from the University of North Florida. 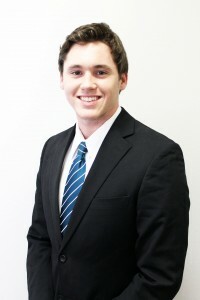 He worked as a business development intern before coming to EADA for the International Master in Marketing. I expect you to go far in the world and see that you’ve got the necessary frame of mind to do so. Also can’t wait to come visit you in some of these International locations. As your uncle, you make us all proud. Uncle Paul. Thank you for yout comment. We wish Erick the best in his future professional career.